This new work places the body in a position of priority, durability and power. Focusing on the possibilities of movement, Body Monologue ventures to imagine alternative spaces and means of activating the body. From how many aspects can this body be seen and in how many forms can it be regenerated? This kind of considerations are fuelling the kinesiological exploration of the human body’s physical limits and proposing an imaginary reading that may exceed them. Inspired by the dynamic role of the monologue in theatre, as well as in real life, the work assigns the task of delivering the unobstructed narrative to the body, thus inviting the viewer to experience the possibility of communication that is generated in this way. This new work places the body in a position of priority, durability and power. Focusing on the possibilities of movement, Body Monologue ventures to imagine alternative spaces and means of activating the body. From how many aspects can this body be seen and in how many forms can it be regenerated? This kind of considerations are fueling the kinesiological exploration of the human body’s physical limits and proposing an imaginary reading that may exceed them. The Fluxum Foundation, in collaboration with the Athens State Orchestra, KOA; Megaron, the Athens Concert Hall; and the Greek National School of Dance, KSOT, is recreating the ballet, La Création du monde. Choreographed by Jean Börlin to the music of Darius Milhaud, with a libretto by Blaise Cendrars and stage sets by Fernand Léger, this work from the Ballets suédois was first presented in 1923 in Paris. In 2000, the Fluxum Foundation began working with Millicent Hodson and Kenneth Archer for the first time to reconstruct La Création du monde. These professionals are true archeologists of dance, specializing in reconstructing ballets whose original choreographies have been lost. 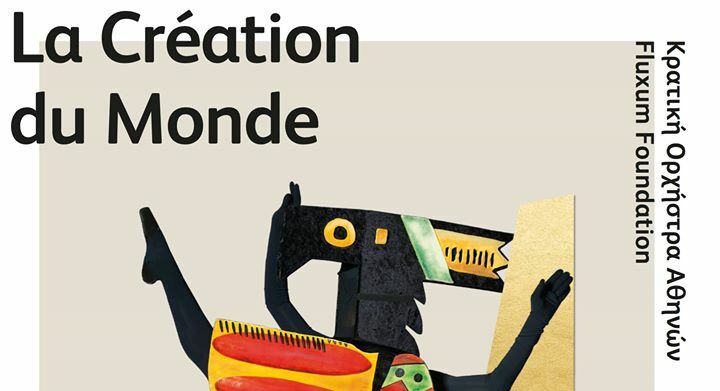 In their staging of La Création du monde, they have recreated Fernand Léger’s sets and costumes in a version that is at once freer and more sculptural than imagined by the original artist. The choreography highlights the symbolism in the animal, human, and divine realms. Twenty-seven dancers from the Greek National School of Dance and the musicians of the Athens State Orchestra will have this unique opportunity to experience what it is like to redesign a ballet from the modern era. “You might be interested to know that Peer Gynt was a real person. He lived in Gudbrandsdal, probably at the end of the last or the beginning of this century,” wrote Ibsen to his publisher in 1867. If Peer Gynt did indeed exist, he must have been full of contradictions, either a liar or a fantasist. Ibsen’s masterpiece, inspired by Norwegian fairy-tales and legends, is a romantic work that manages at the same time to be absolutely modern, about a blind Odyssey of the West, about dreams and the path to their realisation. A group performance for nine dancers, exploring the tension between individuality and collaboration, in search of a harmonic co-existence between the two. The dramaturgy is structured around the dancers’ physical contact and the trajectory of their bodies. In its dizzying, accelerating, almost palindromic sense of rhythm, the performance invites audiences to immerse themselves into and reflect upon the nature of collaboration. The materiality of the senses, the different ways in which bodies can “breathe,” and the fragility of being are highlighted through images, gazes, and physical contact. Human existence, the life of the intellect, signifies an experience of this melancholy and the vital capacity to overcome It. George Steiner, Ten (Possible) Reasons for the Sadness of Thought. Dimensions of a memory is the first piece of a longer work of research, a solo for two. The work has been developed focusing on the notion of melancholia as a mechanism that will prevent the loved objects to depart forever* therefore as a state that intrigues creativity while coming to an understanding of the ephemeral reality. What can we create on stage that leaves you space to relate, remember and question? When was the last time that you sang a song or played a game? Where do you see yourself? Following these questions we construct a collage of scenes exploring what we enjoy, what we remember, what we forget, what we dream. Special Thanks to Susan Quinn and Jelka Milic for their trust and support. Aerowaves Spring Forward provides a platform for the most vibrant and promising choreographers to show their work to performing arts professionals and local audiences. 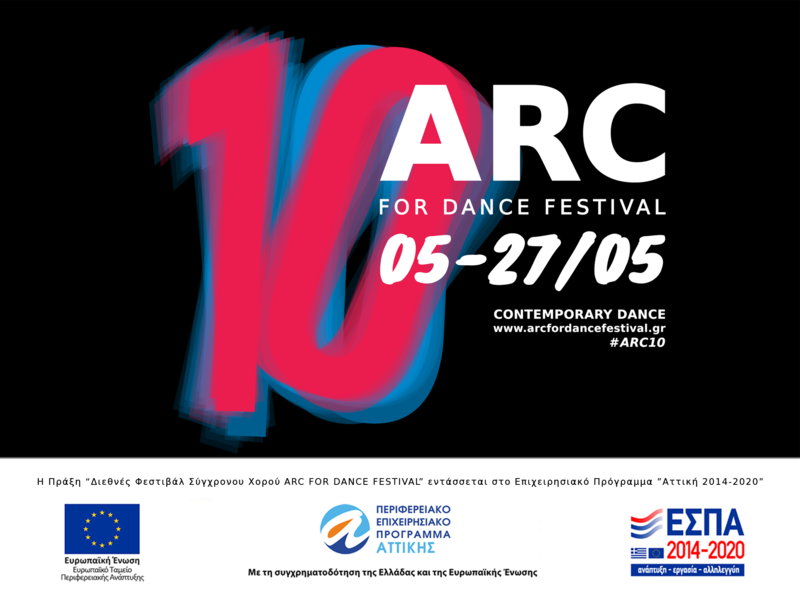 The festival is Live Streamed to reach dance fans across the world. Spring Forward festival will be hosted by Bora Bora and other local venues (Åbne Scene Godsbanen, Teater Katapult, Teater Svalegangen and Musikhuset Aarhus) as part their year-long European Capital of Culture 2017 programme. Anastasia Valsamaki is a choreographer and contemporary dance performer. She graduated from Greek National School of Dance (KSOT) in 2015 at the age of 23. During her 3-year studies in KSOT, she was involved with choreography, creating short pieces in and out of the school context. In 2015 she creates “Sharing Moments”, a piece for 12 dancers where she explores the notion of energy and individuality inside the group while experimenting with the motion of spinning tops. In June 2016 she makes her debut as a young choreographer with “Sync” that offered her the recognition as one of the best and brightest emerging choreographers in Europe. From September 2016 to June 2017, she attended as a postgraduate student the International Choreographic Exchange (I.C.E.) Program at the Salzburg Experimental Academy of Dance (SEAD) with the aim to deepen her choreographic research and practice. Her creation with SEAD students was presented in New Faces New Dances Festival 2017 in Salzburg. Among her works as choreographer and performer is the duet “Rapport” for the performance Sextet (July 2016) and the “Dimensions of a Memory”, the first piece of a longer work of research, “a solo for two”, presented on Salzburg (May 2017).